As a little girl, like many little girls, I enjoyed crafting. 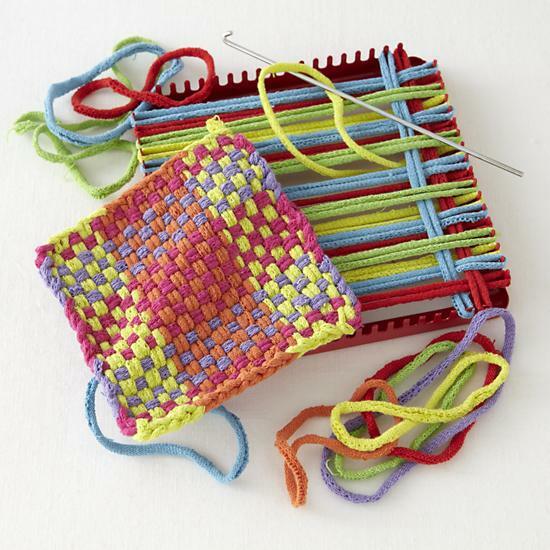 One craft had me stretch colorful fabric bands onto a loom and then, weave more fabric bands in and out until I created a “beautiful” potholder. Of course, I gave it as a gift to my mother who graciously used it in our kitchen for many years. I currently help to lead a women’s ministry that, much like the fabric bands of my potholder, is woven through the fabric of our church. In other words, our women’s ministry is fully integrated into the structure of our church. Many women’s ministries operate separate from the existing structures of the church. Women who are interested and whose schedules permit will gather for Bible Studies, craft nights, outreach events, book clubs and more. But, what about the women who do not come to the women’s gatherings? Work schedules and family life often prevent women from being able to attend events. As a result, they miss the rich opportunity for connection and spiritual growth. Our women’s ministry vision includes that “every” woman in our church has the opportunity for connection and spiritual growth. We have concluded that for this to happen, we must be integrated. Fabric: Some of our church ministries, such as Children’s Ministry & Hospitality, are lead by women. We weave by providing a mentor for these women to encourage and develop them spiritually and as leaders. Fabric: Our church structure provides spiritual growth opportunities and care through gathering in mixed gender small groups lead by both men and women. We weave by providing mentors for our small group women leaders. We also weave by offering small groups just for women. Fabric: Our church offers informational sessions for those who wish to become members. We weave by hosting a special welcome gathering for all new women members. Fabric: Our church regularly offers opportunity for baptism. We weave by following up newly baptized women. Women’s gatherings are still important! What is the fabric of your church? How can you weave your women’s ministry into the fabric of your church?